Counted among the most trusted Aluminum Furnace Manufacturers In Mumbai, Meta Therm Furnace Pvt. Ltd is dedicated to manufacture and deliver a broad range of furnaces in the market. Our commitment to premium quality has led us to fabricate highly functional yet affordable products and this aluminium furnace is not an exception. Treating aluminium with our furnace gives you more convenience and better control over maintaining the ideal temperature for the operation. Our Crucible Type Aluminum Melting Furnace is appreciated for its efficiency and reliability even in challenging conditions. High electrical and mechanical functionality also makes it easy to operate. Corrosion Resistance - These are resistant to corrosion. So, you can use them in moist conditions or keep them exposed to the atmosphere without any worries. Low Maintenance - Our engineers have designed it in such a way that you don’t need to put much effort in order to maintain their quality or smooth functionality. Easy To Install - They are also quite easy to install, and it is just a matter of a few hours to install it in any place. 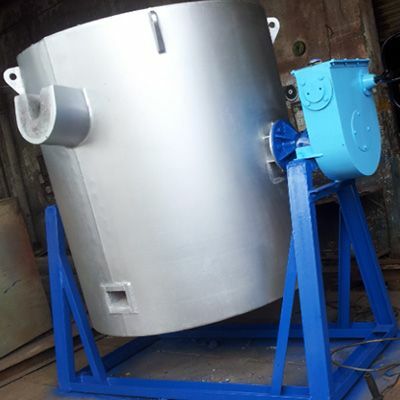 We are considered one of the highly appreciated Aluminum Melting Furnaces Exporters and Suppliers in India. Make an enquiry right now by calling us directly.